New energy saving rating labels to help make the right choice on what product is best for the environment. 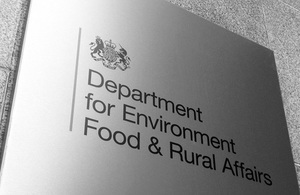 From 20 June consumers will see a new energy saving rating label when buying TVs, washing machines, dishwashers and fridge freezers to help make the right choice on what product is best for the environment. And to raise awareness of the new rating system Environment Secretary Caroline Spelman has launched a campaign to help consumers choose the most efficient product which will save them money and lower their carbon footprint. UK consumers are less likely to buy energy efficient appliances than others in Europe1 and the new campaign is designed to inform consumers of changes to these labels ahead of them becoming mandatory from 20 June 2011. The European Energy Label includes a rainbow of coloured bars and an indicator showing how well that product performs. The labels currently run from A-G, with A being the best and displayed as dark green, and G the worst, depicted as red. The new labels will see the introduction of A+ and A++ so that products that have gone the extra energy saving mile gain more credit. As products become more energy efficient, higher categories of A+++ may also be added to the rating scale. But the colours of the label will remain the same, so dark green will always indicate the most energy efficient products, even if it is not always ‘A’. As well as the band indication, the labels will also have figures such as the amount of energy that the product uses (kWh). The lower this figure is, the less energy the product uses. More products will also carry this label in the future, like boilers and vacuum cleaners and energy saving ratings will also appears in adverts and not just at its point of sale. Energy saving ratings have been around since the mid 90s and make it easy for customers to compare the efficiency ratings of different products. It compares like with like, so rather than all fridges being graded against each other, it is just fridges of similar size.